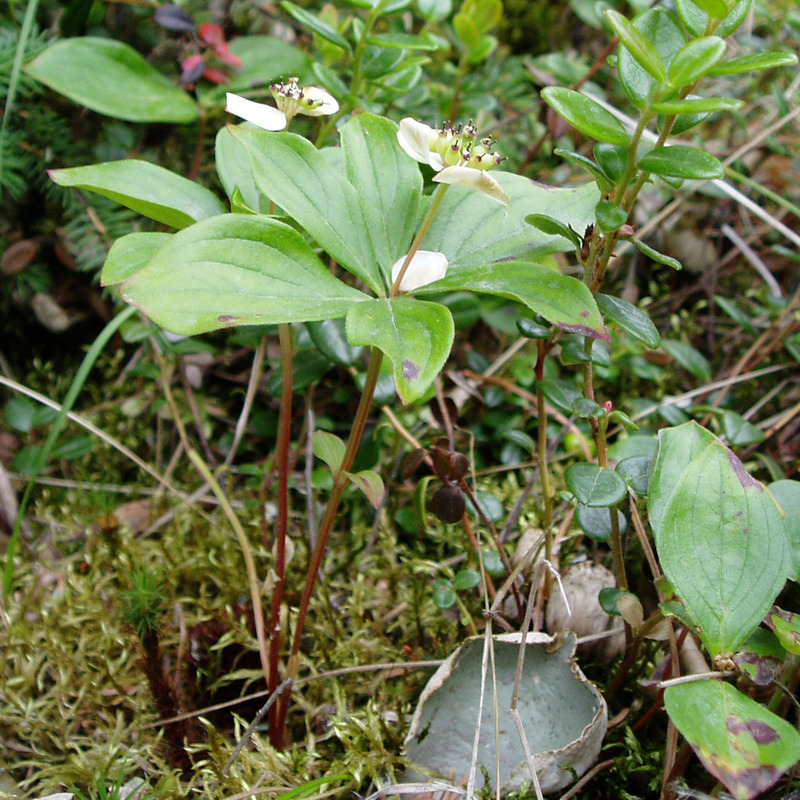 Description: A low (4-8" tall) groundcover plant in wooded areas. It has a pair of small opposite leaved near the base and more closely-spaced sets of leaves at the top, which appear to be a whorl unless you look closely. The leaves have the typical dogwood family vein pattern. The flowers are tiny and are set in a cluster at the top of the stalk. The flower-cluster has four white bracts which look like the petals. It produces a bunch of orange to red berries in the fall. It amazes me how much this plant looks like the dogwood tree (Cornus florida). It is almost the same plant, except that is does not grow into a tree, but stays small. Edibility: Perhaps bordeline edible, but not dangerous. Other Notes: This plant has some interesting properties. Check the articles page for "Tiny Plant Bursts Open at Explosive Speeds." Interesting.